Luckless Seven is the story of Mark Vesco’s journey from a listless existence to competitive glory. Blending a fast-paced card battle system with conversations and stories that respond to your choices, we offer one of the first card games with a story exciting enough to match it. Ready to play? Report RSS	Dev Diary #53: Not Only Are We Alive! MASSIVE UPDATE With tons of Gifs and Screenshots. Luckless Seven is the story of Mark Vesco’s journey from a listless existence to competitive glory. 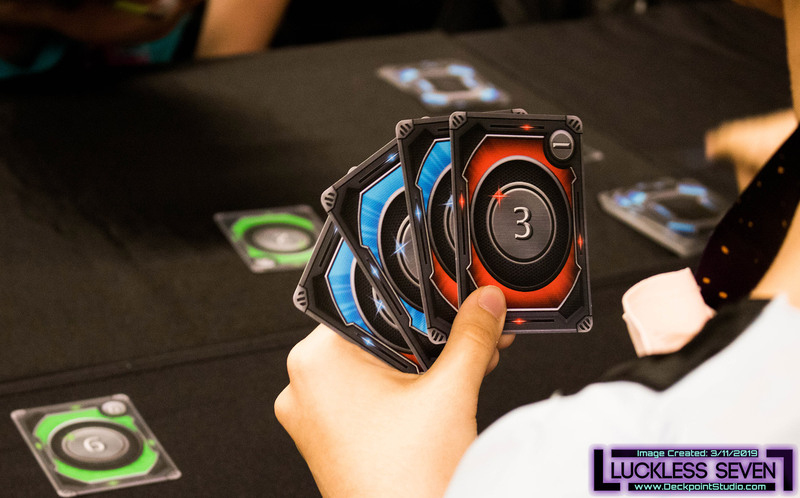 Blending a fast-paced card battle system with conversations and stories that respond to your choices, we offer one of the first card games with a story exciting enough to match it. Ready to play? Tyler here from the Deckpoint Studio team. Again, it’s been a while! If you aren’t following us on Twitter, you might have thought we were dead. 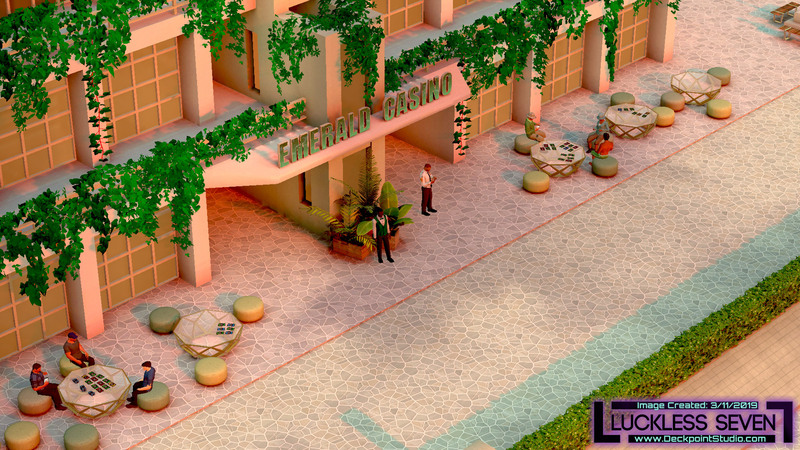 But I’m happy to report that not only are we alive, we are THRIVING -- by which I mean we’re still working hard to deliver you a great game called Luckless Seven. Last time I wrote about everything under the Arithian sun, but this time… No, this will be the exact same. Buckle up! Neropolis got populated! With over 200 characters! This update is another big one! With way too many screenshots and gifs. 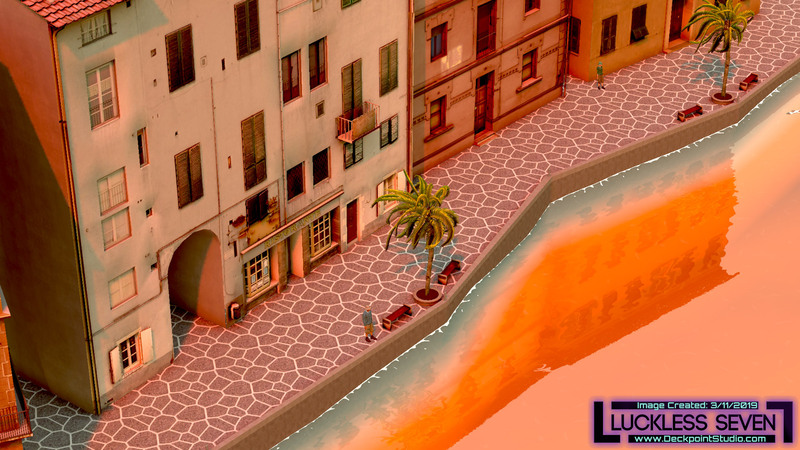 This Luckless Seven indiegame devlog update will show off NEW Sunset areas! New dialogues! New NPCs! New Story! New Demo available! New website launches on both Itch.io and Gamejolt! 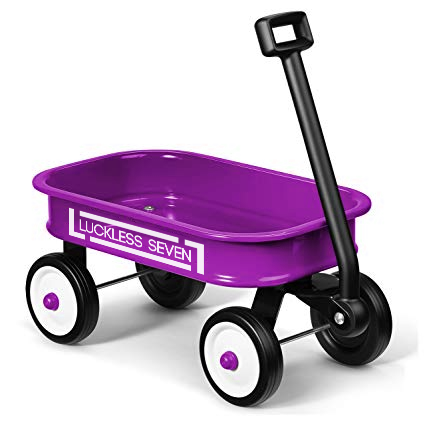 Additionally, we talk about the exciting next step for Luckless Seven! Also, we launched a Discord Server! Get in here! BRAND NEW DEMO! Beta Candidate 0.830! This latest update is for all operating systems: Windows in 32-bit and 64-bit! and Mac OSX and Linux! Download on Steam or IndieDB! 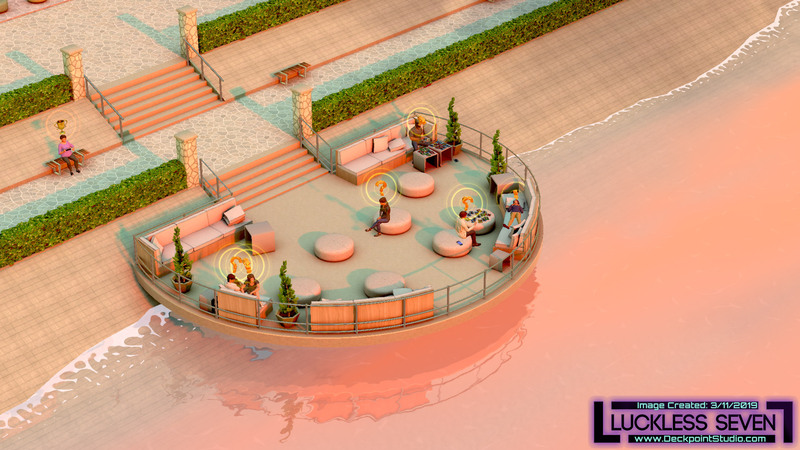 If you haven't done so already, follow and wishlist Luckless Seven on Steam! 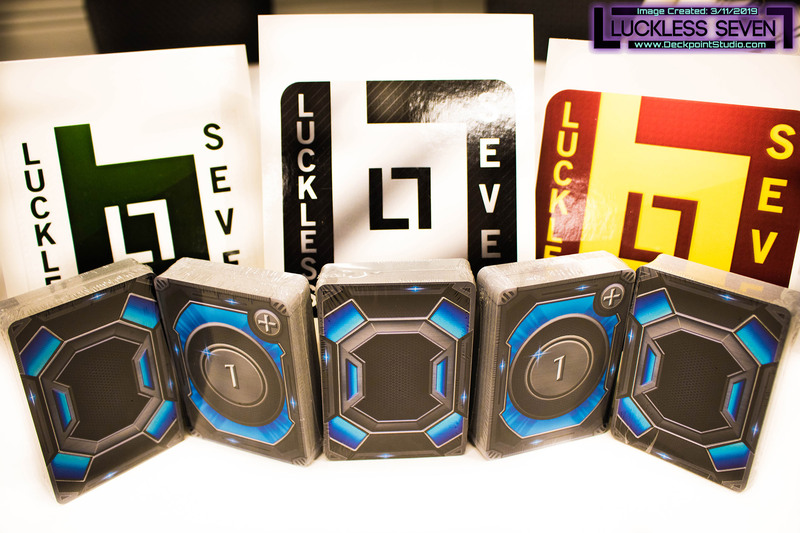 Join us on our journey as we develop Luckless Seven! Help shape the game and get access to exclusive content! Boy, where haven’t we been? We can get into more detail, but since the last dev update we’ve concluded our informal “expo season.” That means we saw all our regional gamedev pals at GDEX in October, then had the pleasure of showing off Luckless Seven in the second annual indie gaming showcase at Ohayocon, a Columbus, OH anime and pop culture convention. As always, these were great opportunities to check in on the fine accomplishments our midwestern gaming peers have made and to garner player feedback. 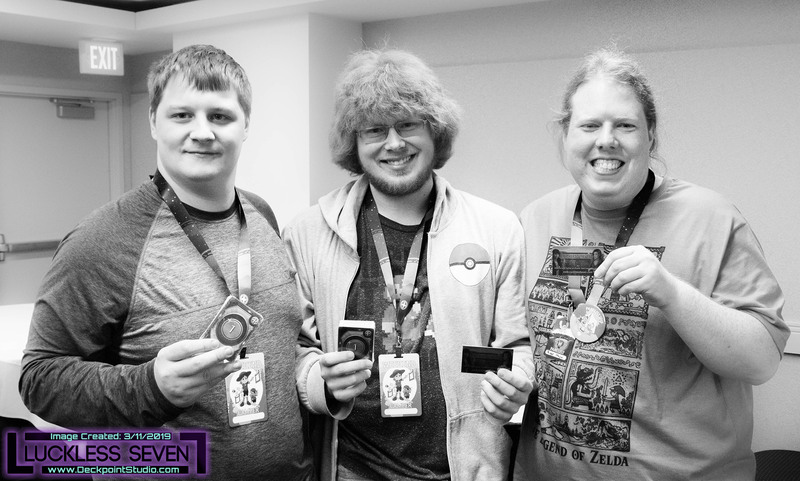 And at Ohayocon, we hosted our first live Ekosi tournament! 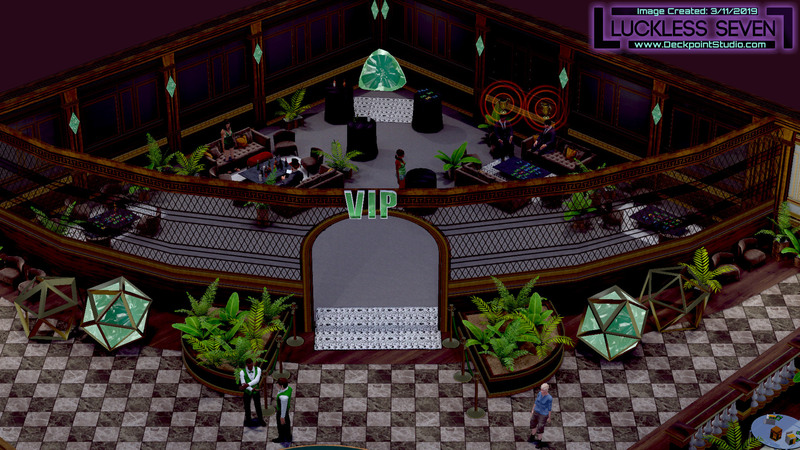 Congrats to James on winning first place, and thanks for all the great L7 feedback! Luckless Seven launches a Discord server! Come join us and hang out for a bit! But we haven’t just been showing off the same Luckless Seven from September. Nay, we’ve also been setting up the most important thing ever: the Luckless Seven Discord server! We love talking to our loyal, insightful, and fun supporters, and the new server allows for quick, fun conversation between you, other players, and our dev team! It’s a great time. Come on in! When we aren’t meming it up on the server (vomits in mouth), we’ve been hard at work getting the game ready. 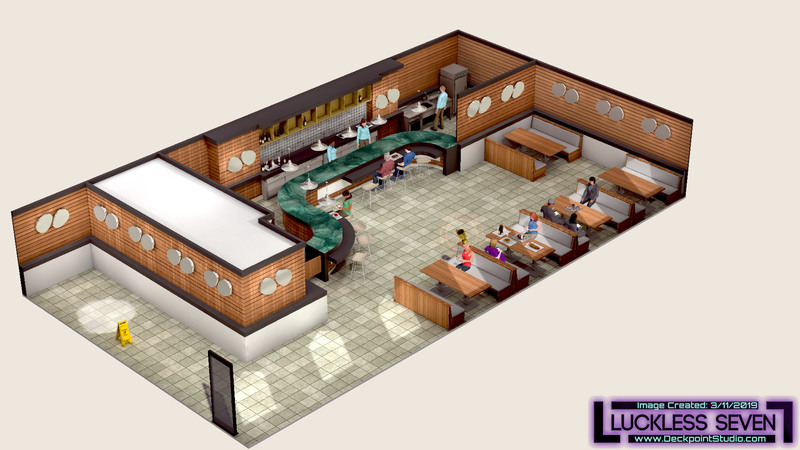 More on how we’re progressing shortly, but first a quick word on what we’re getting ready for. Of course, there’s the game’s release. We’re on target for end-of-2019 with a reasonable chance to wrap up early. But there’s more! 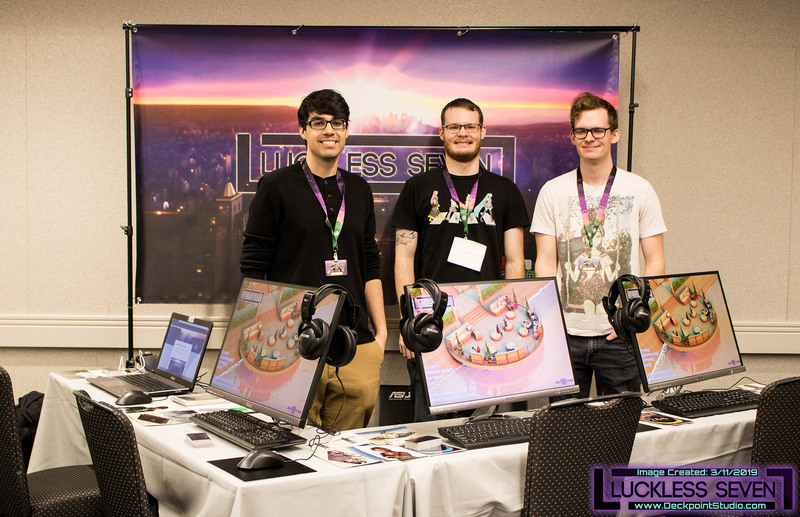 Today we’re launching Luckless Seven on itch.io and Gamejolt! We’re excited to bring our game to these new platforms and reach new players. And did I mention we have a new Discord server? Come on in! The water’s fine! Last but not least, we’re approaching an Early Access release for the game. Why? Entering Early Access is the natural next step in our progression towards a full release. 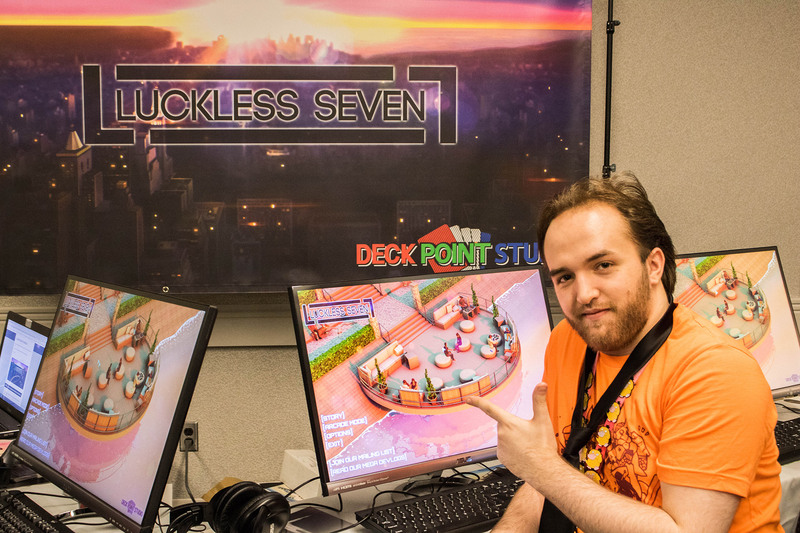 Waving our big “This Game Is Pretty Good, We Think It’s Worth Your Dollars!” sign will bring all-new players to Luckless Seven. The influx of new players will bring necessary feedback and funding that will help us finish development strong! What does this mean for the availability of Luckless Seven? 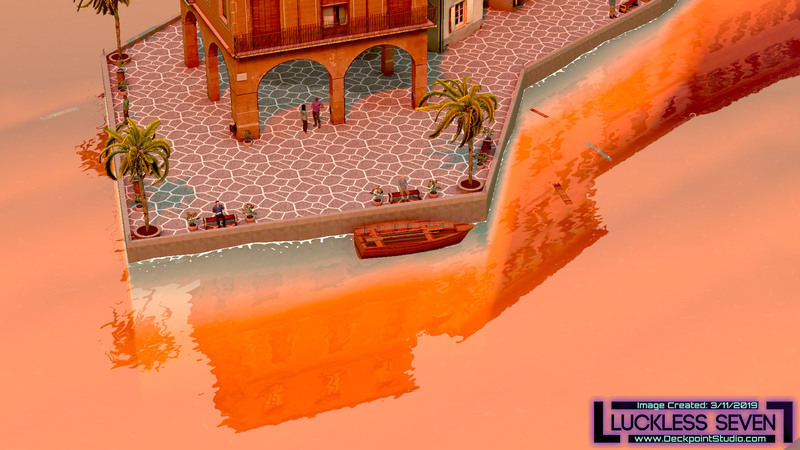 New side quests: We are planning to add new side quests to Days 1, 2, and 4, so there will be new content for those who have played the demo before! Already backing? Newer content (including upcoming releases of Days 5, 6, and 7) will be available to Early Access buyers and Kickstarter backers. Kickstarter backers will receive both a Steam key and Itchi.io key when the game enters Early Access. Launch: When? 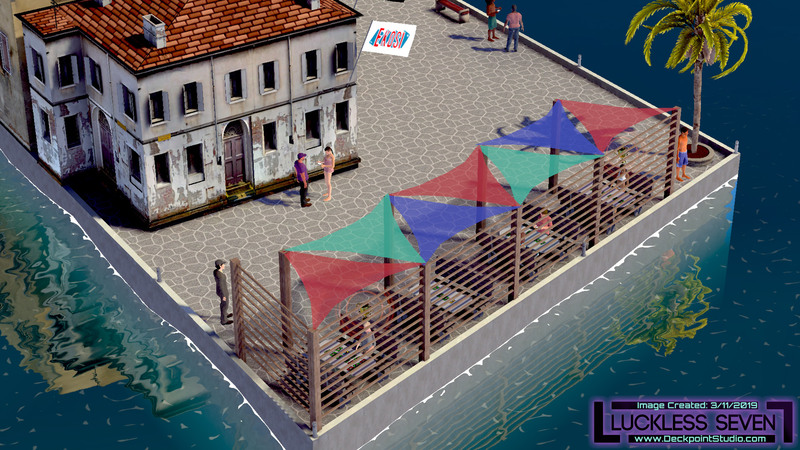 Luckless Seven will enter Early Access in 3-5 months! 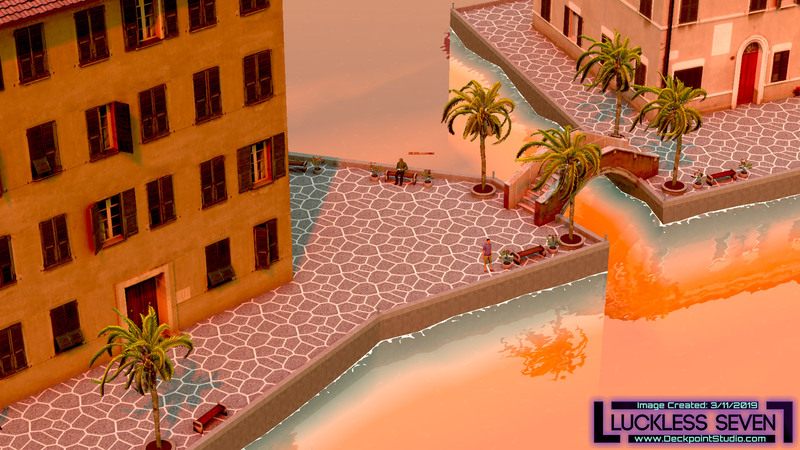 New Sunset Areas! More on that below. My favorite section! So what’s new? Since the last update, I’ve completed all the dialogues for Days 5 and 6! These are the days when Mark and company arrive in Neropolis, that beautiful coastal paradise, and take their next arduous steps in the tournament. Who will survive? The tournament, we mean. No one dies. Or do they?! I wish I could tell you, but you’ll just have to play the game to find out! Screenshot of our storyboard on Twine: So many options and paths. 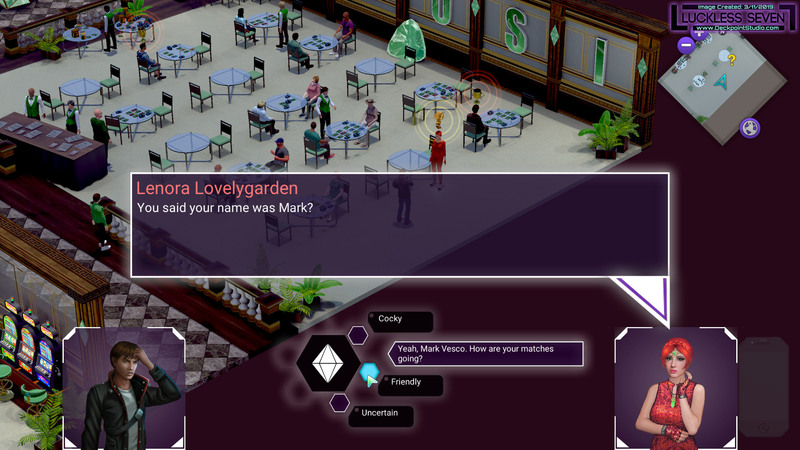 This is a screenshot of a small section for one dialogue scene. 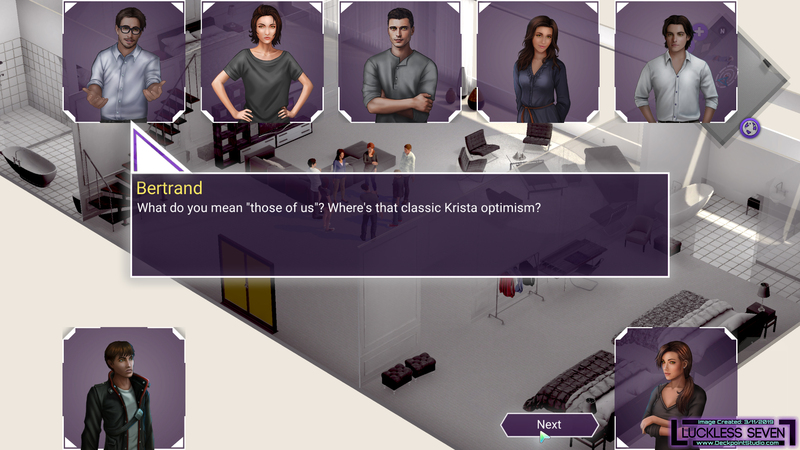 Screenshot of our storyboard on Twine: The choices players make will affect the storyline and ultimately the ending. In a later post, I’ll go into more detail about the fun I’ve had writing for Neropolis and some of the new themes we’ve gotten to explore. For now, I’ll give you not more text, but a short video: Luckless Seven’s new teaser trailer! 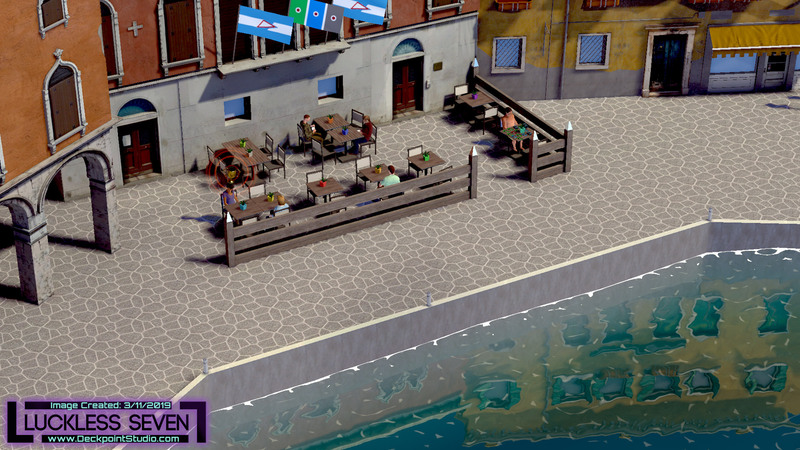 It had been a while since our last trailer was created, and we have so much more to show now. Take a look and let us know: what do you think? Day 5 dialog sneak peek. 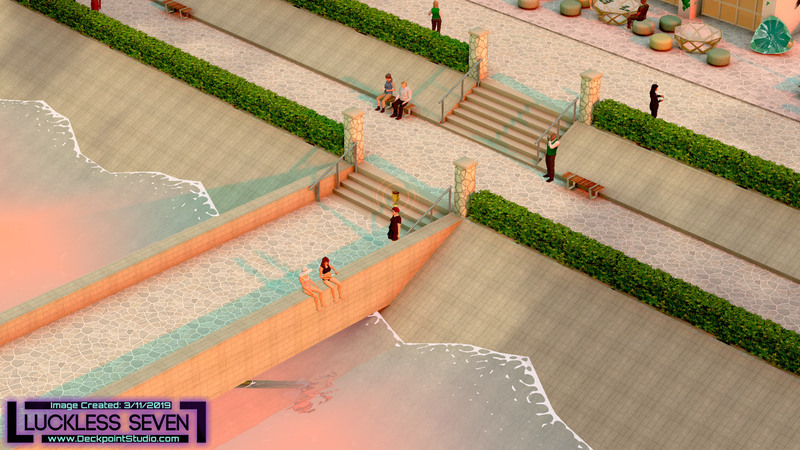 The gang figures out what to do in the new city. Relaxing music with relaxing environments. Raindown - “Why is Brandon so good at this?” - Jesse Kooner, 2019. Energetic and motivational, Raindown will help drive Mark from location to location in Neropolis. Long Distance - Dreamy. Ambient. Aspirational. 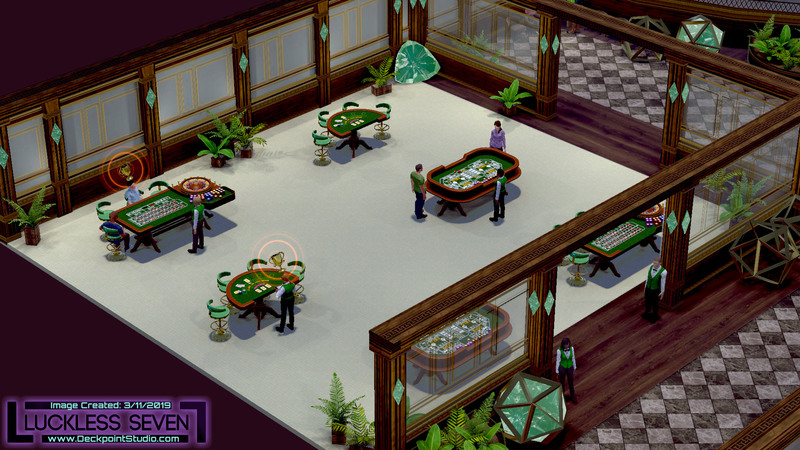 Long Distance is also used to bring a sense of wonder to Neropolis’ Emerald Casino. I told you we were working hard! But even when the paint is dry on all the portraits (just kidding, they’re digital), even when every line of NPC dialogue is written, and when every song is mastered and uploaded, they ain’t a game. Just parts of one. 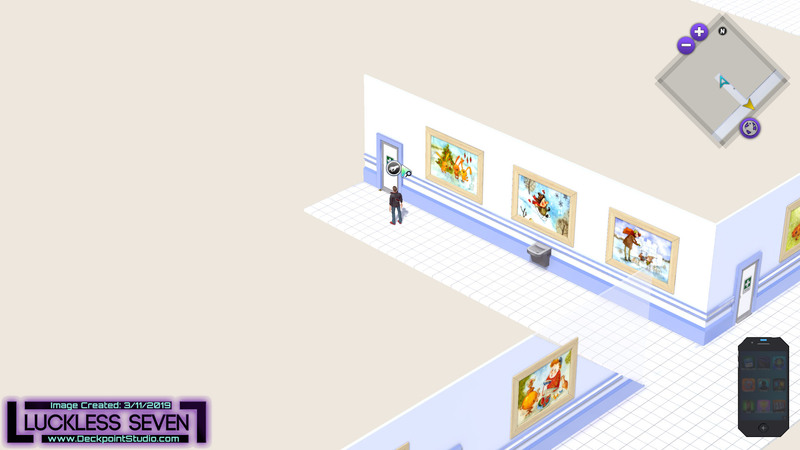 To turn those pieces into a whole, we turn to Jesse, who’s been putting it all together in Neropolis. And let me tell you… you’re gonna love the final product. 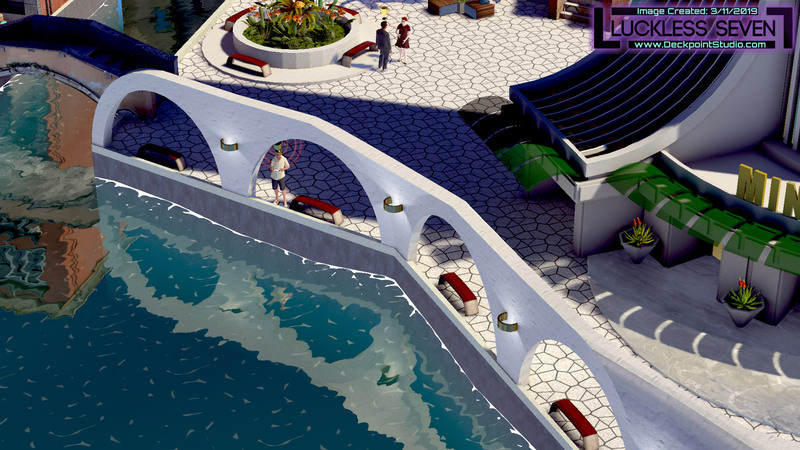 The days spent in Neropolis are shaping up to be some of the most interesting in the game. 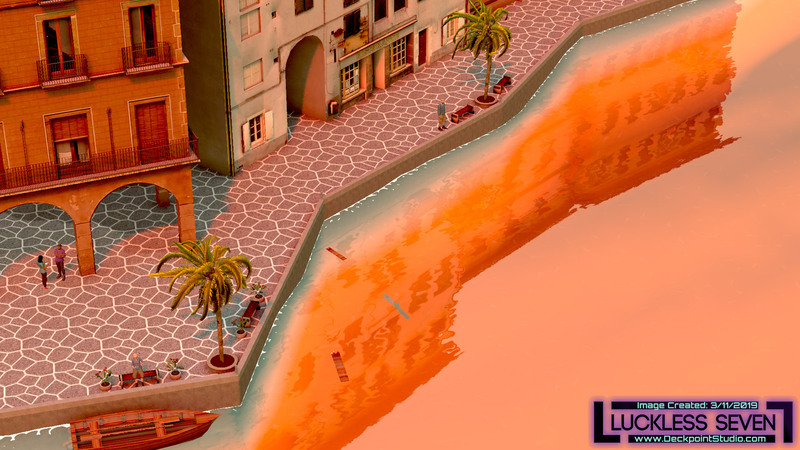 Across several areas, Neropolis contains 200 NPCs who are happy to share the local history, tell you their own stories, or (of course) challenge you to a friendly match of Ekosi. Across Neropolis, you’ll see lots of new faces on quirky side characters and new characters integral to the main story. Get in! There's no time to explain! 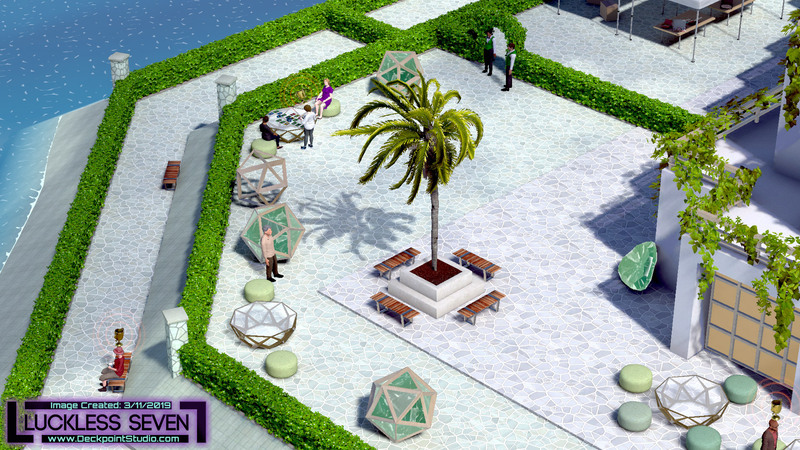 Neropolis City has been populated with over 200 NPCs! So many battles and quests! Talk with everyone! Their dialogues change each story day too in Neropolis! 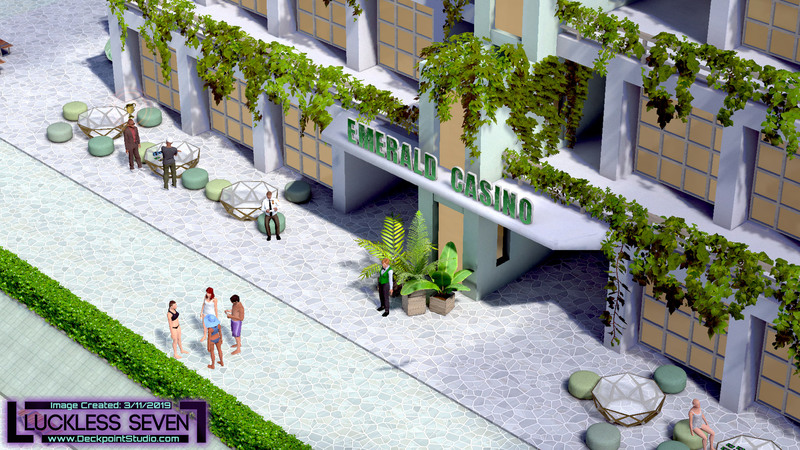 The Emerald Casino at Sunset! Many great story and character moments in Neropolis! 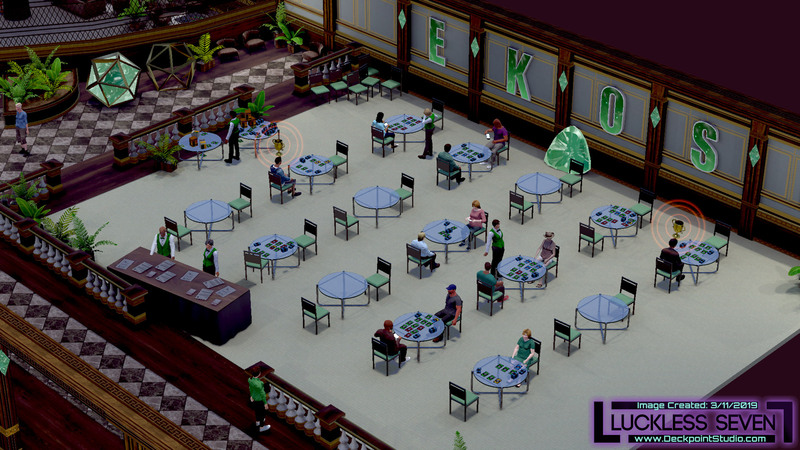 The Emerald Casino Interior has ~60 NPCs and hosts the next stage of the Ekosi tournament! The Ekosi tournament area full of players battling and casino staff assisting. In the VIP lounge are the Professional Ekosi players. Some of the most challenging battles in the game yet! 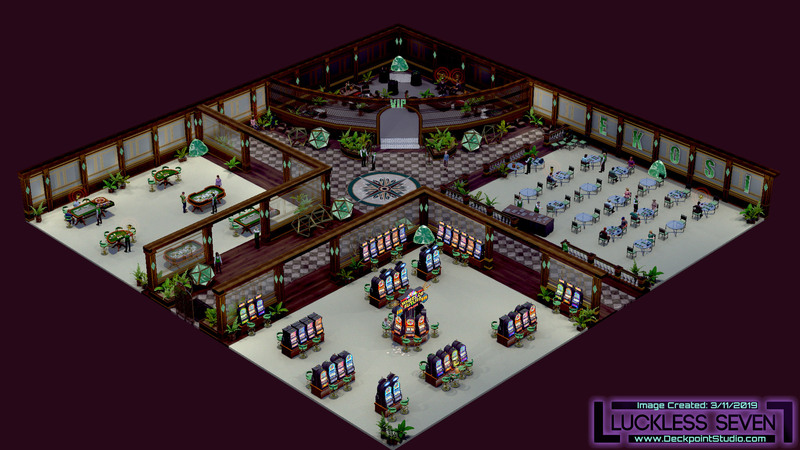 The Emerald Casino has many side battles available with some great cards up for grabs. 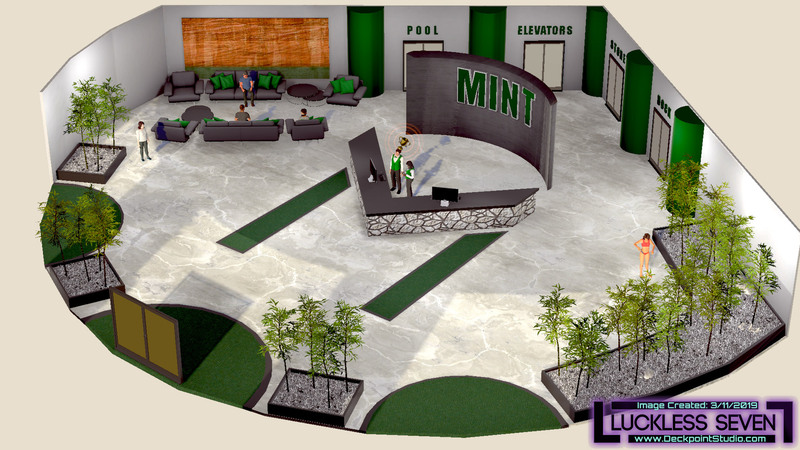 Mint Hotel Lobby with guests and crew. Just outside the Neropolis Ekosi Card Shop. A group of friends are hanging out. Some are willing to battle! This is just outside the Neropolis Restaurant. 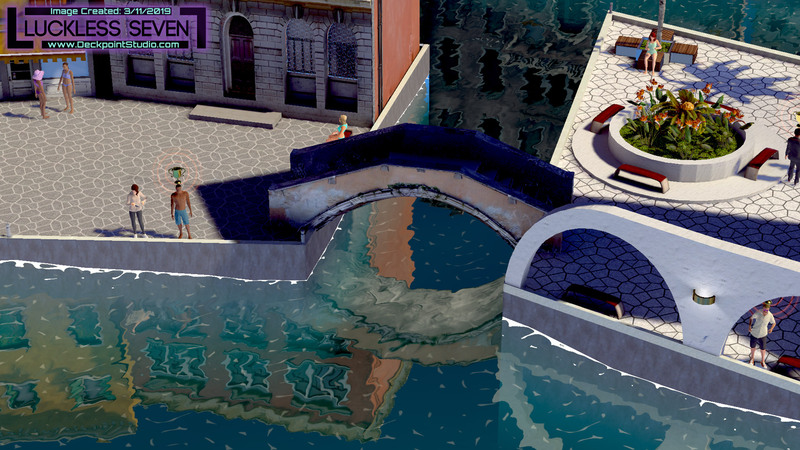 The bridge leading to the Mint Hotel. Just outside the Mint Hotel. 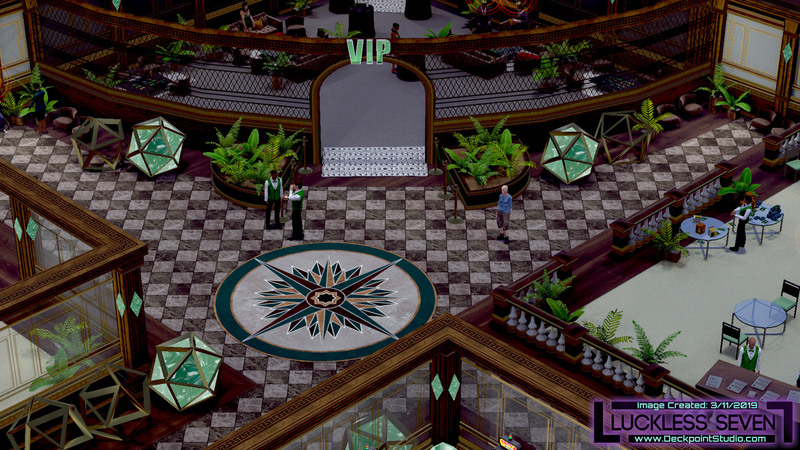 The Neropolis Restaurant interior. It has undergone so many changes. 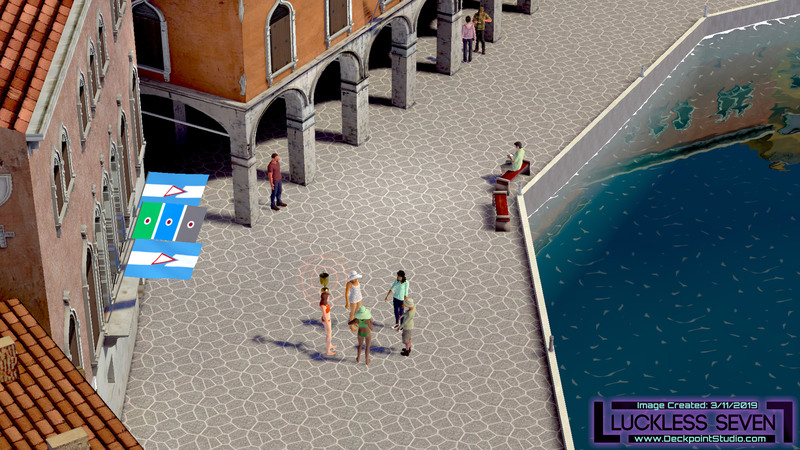 Huge thank you to Reddit and the r/indiegames, r/isometric, and r/Unity3d. The bridge leading to the Emerald Casino. New battles and quests in Neropolis! Day 5 dialog sneak peek. New fun characters to talk to and advance the story. Quality of life: Clicking on people who have dialogues will autorun Mark and activate them. Trust us, this one’s bigger than you’d think. UI improvement: Interactable environment icons now have a nice border and background to make them easier to read. Speed: Dialogue scrolling is significantly faster for the quick readers among us. Next step: variable read speed. New battles and opponents! Also, let's talk about our latest Ekosi board upgrade! 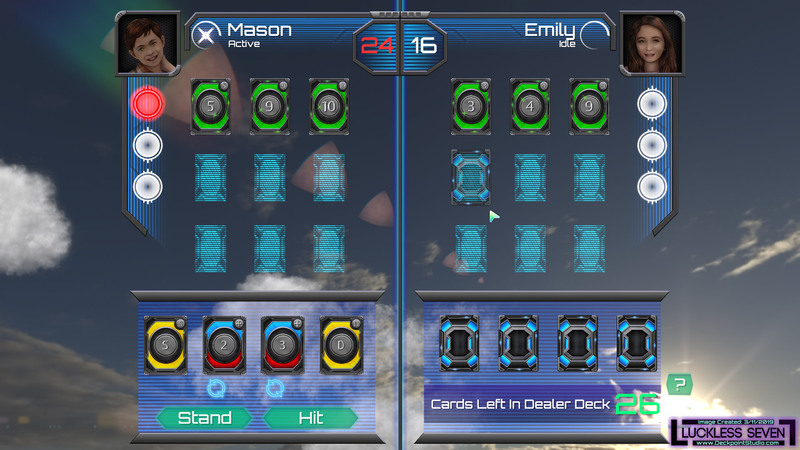 In the above screenshot circled red is a semi-transparent Ekosi card to indicate that the opponent is not standing and that they're going to get another Green card on their turn. 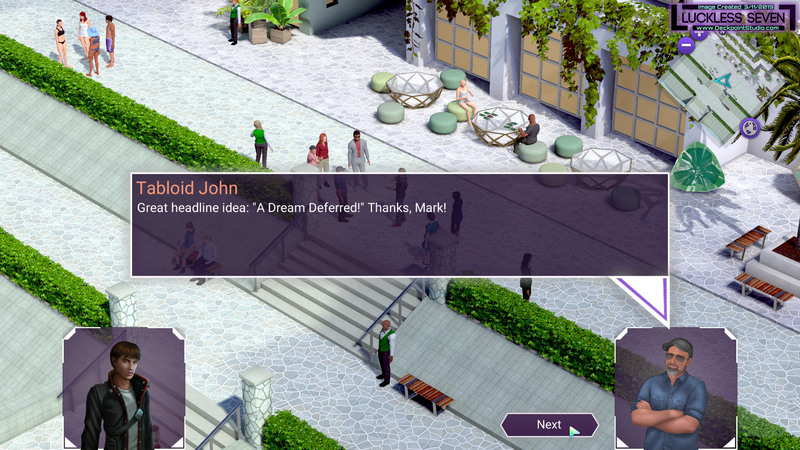 This makes the game easier to pick-up and conveys important information without words. Although, if you're into words, then in the top right under the opponents name it will state if they're Idle, Standing, or Active. We got you covered both ways. 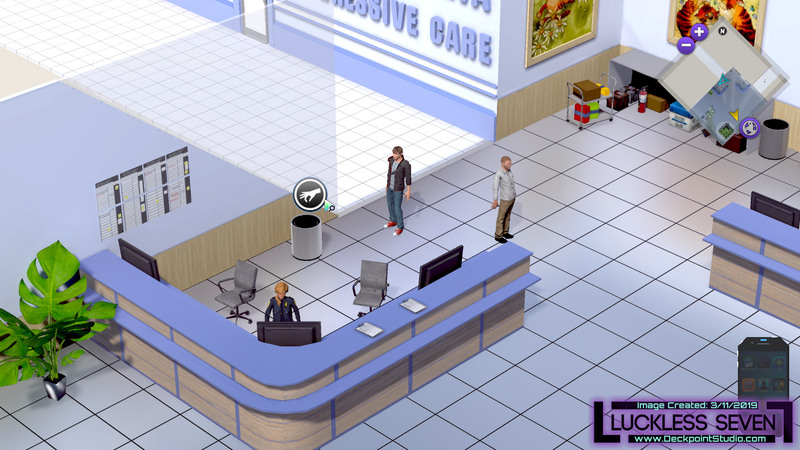 We added new pick-up item spots throughout the game! With many new spots added to the Patrida Children's Hospital. Seemingly little changes to performance and UI add up to another big step forward in polishing the game as we approach a proper release! We’re proud of all these changes, and we think you’ll notice their impact. So go play it and let us know what you think!